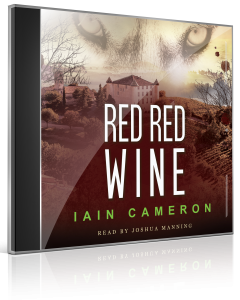 Red Red Wine is the 5th novel in the DI Angus Henderson crime series. The audiobook version is read by Joshua Manning. Originally from Edinburgh, Josh trained as an actor at the Bristol Old Vic Theatre School. Prior to this, he studied Theatre and Music at the University of Glasgow. Whilst recording Red Red Wine, Josh took a break to appear in Alan Ayckbourn’s By Jeeves! at the Old Laundry Theatre in Barrow. Josh captures the essence of the Angus Henderson voice I have in my head and does a great job with the other characters in the book – Yorkshire-born CI Edwards, the Swedish ferry boss and the London-based villains. 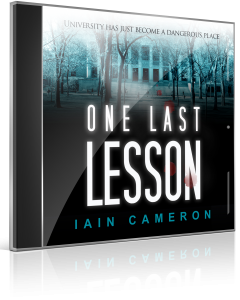 One Last Lesson is the 1st novel in the DI Angus Henderson crime series. The audiobook version is read by Dave Gillies. Dave is a Glasgow-based producer, composer and voice-over artist. The audiobook was produced by WF Howes, the UK’s leading audiobook, digital services and large print publisher, releasing around 100 new unabridged audiobooks every month under a number of imprints. Their digital arm provides eAudiobook and eBook lending to the library market through the OneClickdigital platform.